BaxTek Solutions Automatic identification and data collection solutions. OSHA Signs, Pre-printed Labels and Accuform Signs. 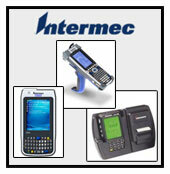 BaxTek Solutions offers supplies including barcode labels and printing ribbons. You will also find all of your OSHA sign needs. We have compliance signs, tags and labels. We will help implement custom bar code label programs and any custom Accuform signs. BaxTek offers OSHA & Compliance Signs, Tags, Labels & more.. While we offer the most stock product choices in the industry, there will always be a need for custom signs, tags, labels and other products. Recognizing this, we have the technology and know-how to quickly and accurately fulfill virtually any custom request. If you are interested in custom made labels, please fill out the form below and we will get back to you as soon as possible. If you are not sure about a particular field you may leave it blank.